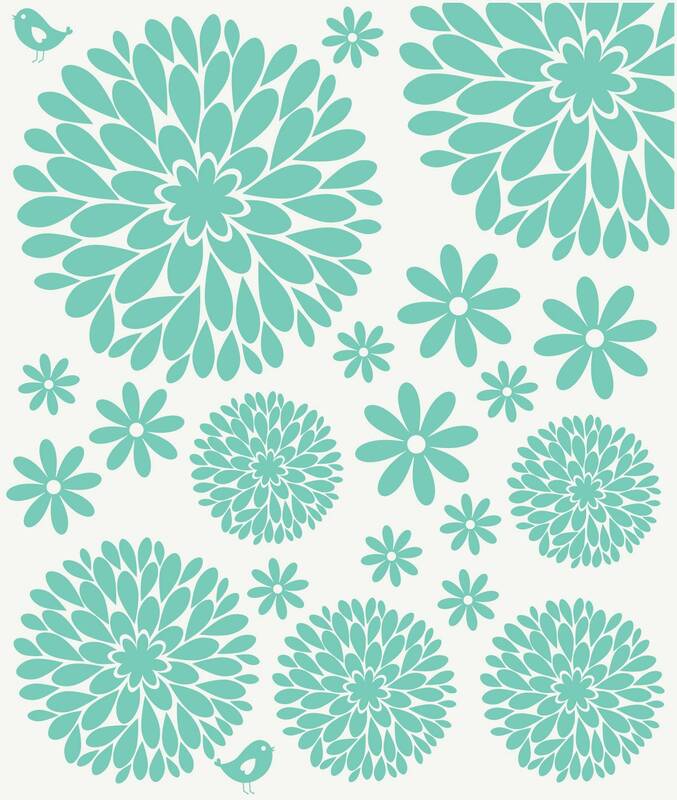 Dahlia flower wall decals continue to be a best seller. 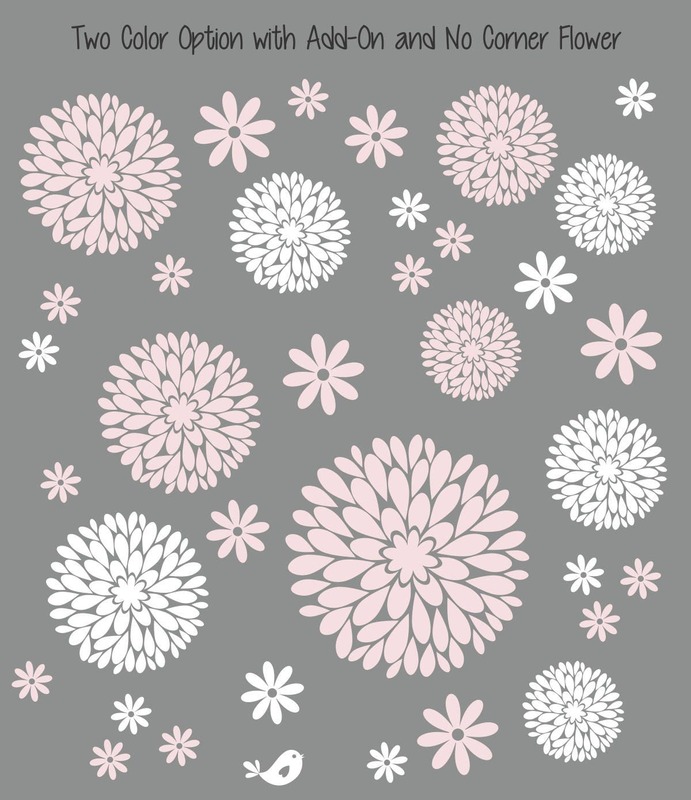 Dahlia flowers are a dramatic wall decal that look great when randomly scattered on just one wall in the room. So I've added a twist, giving these a center and a new daisy accent flower for the package. 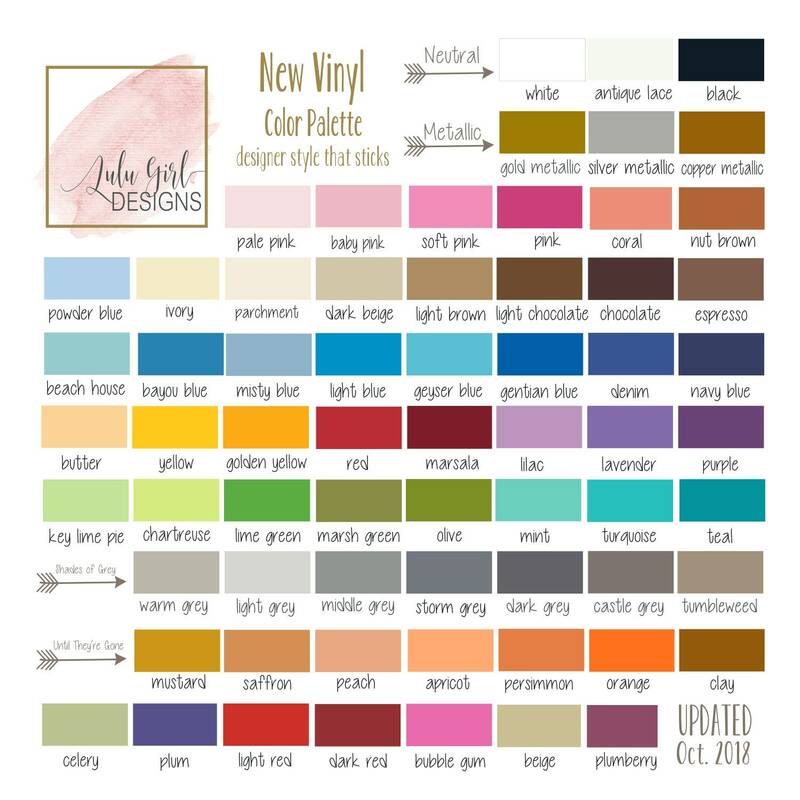 Vinyl decals are the easy way to decorate without paint. 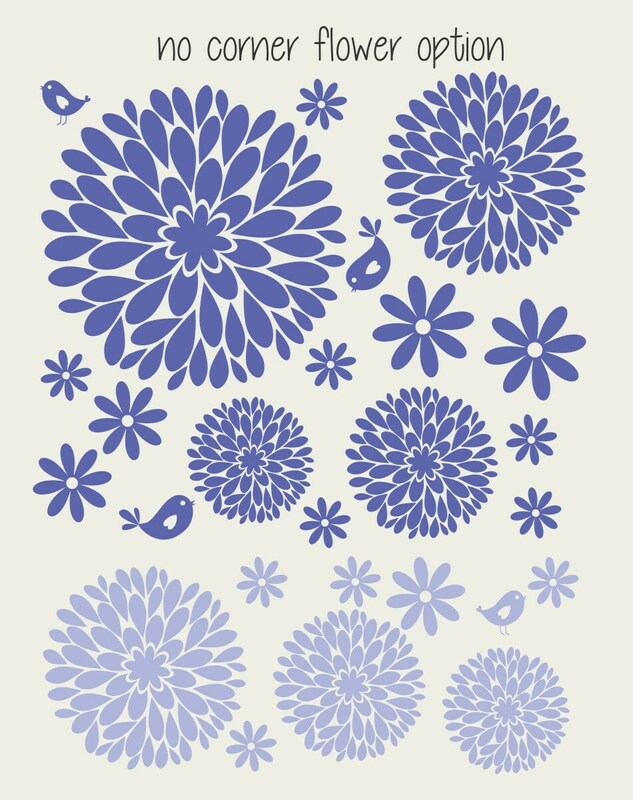 These flowers peel and stick. Package with Corner Flower includes ONE 12", ONE 8", TWO 6", TWO 5", a 7" flower for placement in the ceiling corner. TWELVE other flowers are sized 2" to 4". 19 total flowers. Package without Corner Flower includes ONE 12", TWO 8", TWO 6", TWO 5". TWELVE other flowers are sized 2" to 4". 19 total flowers. 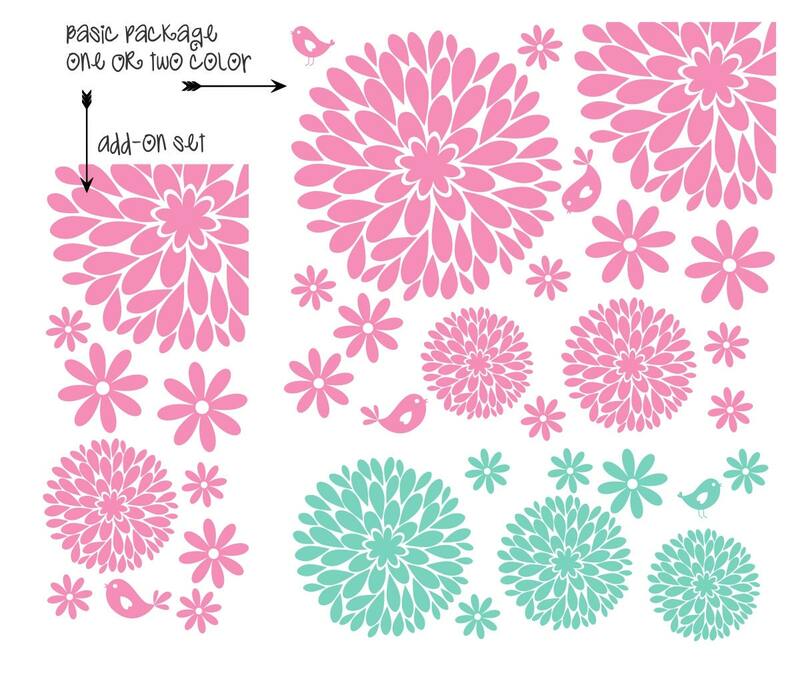 Two Color Option with Add-On and No Corner Flower includes ONE 12", THREE 8", THREE 6", THREE 5" and 22 extra flowers sized 2" - 4". 32 total flowers. As always, I include a few tweet little birds for random placement on the light switch, window frame or to perch above a picture frame.